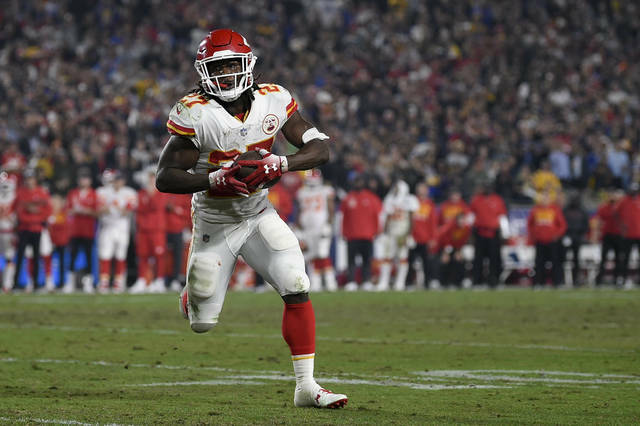 BEREA, Ohio (AP) — The lasting visual of Kareem Hunt’s second NFL season wasn’t him stiff-arming a linebacker, shedding a tackle or barreling over a cornerback at the goal line for a touchdown. CLEVELAND (AP) — The New York Knicks’ franchise-record 17th straight loss might have been the toughest one to take. Love said he thinks he’ll play Wednesday against Brooklyn in Cleveland’s final game before the All-Star break. Knicks: Jenkins was signed to a 10-day contract earlier in the day. He scored seven points in nine minutes. .. G Emmanuel Mudiay (strained left shoulder) and G Frank Ntilikina (sore groin) remain out. Cavaliers: F Tristan Thompson (sore left foot) likely won’t play until after the All-Star break. He has missed the last 12 games. … F Cedi Osman (sprained right ankle) was out for the fourth straight game. …. C Ante Zizic (sore lower back) was a late scratch. The Knicks’ loss gives them the 34th losing streak of at least 17 games in NBA history and the longest skid since the Memphis Grizzlies dropped 19 in a row last season. New York hasn’t won since a 119-112 victory over the Lakers on Jan. 4. Cleveland won for the first time this season with Love on the floor. He played the first four games in the Cavaliers’ 0-6 start and returned for Friday’s loss in Washington. Knicks: Host Philadelphia on Wednesday. PEBBLE BEACH, Calif. (AP) — Phil Mickelson is closing in on three decades on the PGA Tour and a half-century on Earth, and he still feels his best golf is good enough. NEW YORK (AP) — South Dakota has been on the rise since moving up to Division I in 2008. Now the Coyotes can add an appearance in The Associated Press women’s basketball poll to their achievements. Riding a nine-game winning streak, coach Dawn Plitzuweit’s team entered the AP Top 25 at No. 25 on Monday for the first time in school history. The Coyotes (22-3), who are off to their best start as a DI school, have five consecutive 20-win seasons. The team is 74-19 in Plizuweit’s three years at the school. She took over a team that won the WNIT title in 2016. The Coyotes’ first game as a ranked team will be on Saturday at Western Illinois. The team was off practice Monday. COPENHAGEN, Denmark (AP) — The Alps it’s not. But Danish skiers and snowboarders are testing out an artificial ski slope above an incineration plant that doesn’t emit toxins and rises 85 meters (279 feet) above the flat landscape of Copenhagen.